BIBLE SAYS: Luke 21:11 and there will be great earthquakes, and in various places plagues and famines; and there will be terrors and great signs from heaven. Similar Verses : Mark 13:8, Luke 21:11, Revelation 6:12, Revelation 8:5, Revelation 11:13, Revelation 16:18, Matthew 27:54. Matthew 24:7. 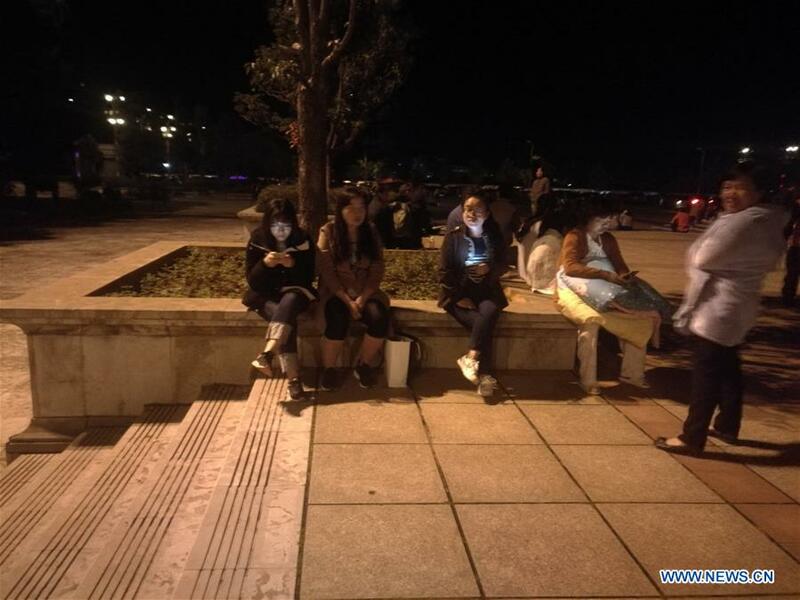 KUNMING, Aug. 13 (Xinhua) — A 5.0-magnitude earthquake jolted Tonghai County in the city of Yuxi, southwest China’s Yunnan Province, at 1:44 a.m. Monday, according to the China Earthquake Networks Center. The epicenter, with a depth of 7 km, was monitored at 24.19 degrees north latitude and 102.71 degrees east longitude, the center said. The provincial earthquake bureau has launched an emergency response and has sent a team of experts to the areas hit by the quake. The quake was felt strongly and many people ran outdoors for safety as it struck, said a source of the county publicity department. At least one person was injured and two houses were partly damaged in the quake, said the county authority for disaster reduction in a statement.